The Caribbean vacation destination of the Cayman Islands provides some amazing choices to ensure that guests to the Caribbean region appreciate some charming holiday islands. Cayman Islands is situated south of the Cuba and west of Jamaica. It is comprised of three relatively small islands. These consist of Grand Cayman which is the largest of the three, Little Cayman and Cayman Brac. Moreover, the territory is one of the few remaining British dependent holiday destinations in the Caribbean region. Cayman Islands is renowned for its awesome marine life and water sports adventure with its many charming barrier reef attractions for guests to explore. Grand Cayman is the location where you will find most of the top resorts and hotels on the territory. 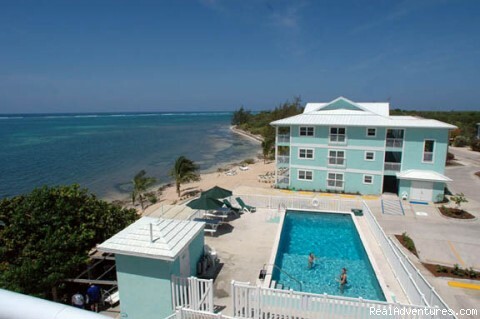 Moreover, you will discover that most of the top all inclusive resorts are situated on Grand Cayman famous Seven Miles Beach. One of the interesting features of this tropical Caribbean vacation destination is its financial sector. Grand Cayman has branches of forty of the leading banks in the world situated there. Taking a vacation to this Caribbean island will allow you to get a keen understanding of the island's financial industry and the opportunities it can offer you. Moreover, you may be wondering how you can reach this amazing Caribbean vacation destination, but the Grand Cayman has an airport with connecting flights from the North America and Europe. In order to really enjoy your Cayman holiday you must select a vacation resort, hotel or villa that will be an ideal for you. There are many love vacation accommodation that you can select in the territory. The Ritz-Carlton Resort is one of the area most notable vacation resorts in Grand Cayman. It is a situated on the famous Seven Miles Beach and has highly professional staff complement that is second to none in the Caribbean. This resort is a perfect place for any form of luxury holidays you will want. Some of the other top vacation resorts on the isle consist of Westin Casuarina Resort, the Marriott Grand Cayman and Britannia Villa. In addition, the Britannia Villas has one of the top golf courses in the Caribbean region. You will realize that there are other fantastic resorts that are good Cayman holiday choices for the different types of vacation choices you will be thinking about. However, when considering family holidays in Grand Cayman the Sunshine Hotel, Sunset House Resort and the Marriott Grand Cayman are some excellent choices you can consider for your family vacation. Moreover, you will discover some charming resorts for romantic holidays on the, as well. The Britannia Villa, The Ritz-Carlton, and Treasure Island Resort are three fantastic choices to consider in Grand Cayman for romantic vacation. One of the top reasons why you should select a Cayman vacation is because of the awesome water sports attractions and activities. There are many places throughout the destination that are awesome places to go on snorkeling, windsurfing, scuba diving and to relax on the beach. Other fun filling activities you will be able to participate in on a visit to this Caribbean vacation destination consist of boating, excursions, swimming with dolphins, and horse back riding. Horse back riding on the beach are awesome activities for couples who want to enjoy some amazing Caribbean sunset and sun rising experiences. These are perfect vacation adventures for romantic couples visiting the island for wedding and honeymoons.